Use these expert tips to find the right nutritional balance at every meal. If you’re still using the traditional food pyramid as a guide to eating, then the foundation of your diet is grains. They’re important, but grains shouldn’t be the base of your meals or eating patterns, says Gold’s Gym Wellness Director Connie Cheng. 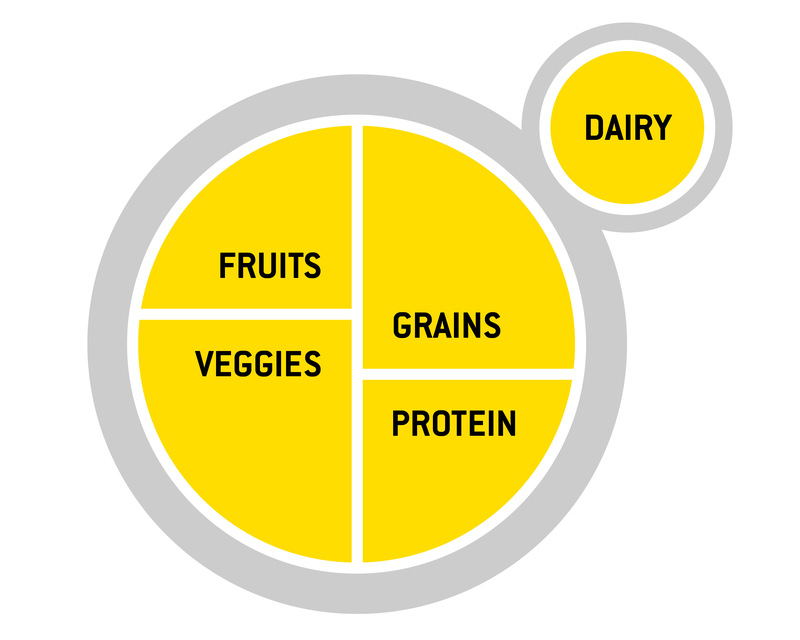 MyPlate, from the U.S. Department of Agriculture, is a visual reminder that a balanced meal is a healthy meal. Your plate should be divided into four nearly equal sections of fruits, vegetables, proteins and grains, with a cup of dairy on the side. With this updated guide, people can map out their plates to achieve that variety, regardless of where they are. Some to-go containers and disposable plates are already segmented, making smart decisions even easier. Following MyPlate can still present challenges in making choices. For example, MyPlate includes dairy as a nutritionally beneficial food group, but it lacks guidance on navigating the different dairy products that can be loaded with sugars. You will commonly see added sugars in products like yogurt and packaged soft cheese. Check the total carbohydrates section, which is divided into “dietary fiber” or “added sugars.” If the majority of total carbs is from added sugars, you can assume that it’s not the most nutritious choice. Check the ingredients section. If the first three ingredients listed are different words that mean sugar (corn syrup, fruit juice, corn sweetener, etc. ), assume that most of the product is just added sugar. But getting back to the main issue, how do you create and maintain nutritional balance and variety? If your meal calls for pasta, try spiralized zucchini or carrots instead of regular noodles. If your meal comes with rice, have half a sweet potato or an extra serving of green veggies instead. And since fruit isn’t always served on a plate with the rest of the meal, fill that space with vegetables, too. Turn this tip into a game for kids by creating a color wheel and having them spin a few times. Whichever colors they land on are the colors of the vegetables you buy at the store or order at the restaurant. Get more information and take the dairy, fruit, grains, protein and vegetable quizzes on choosemyplate.gov.